The ancient land came into being with the strike the axe of the legendary mythological figure Rishi Parashuram, is Kerala- God's own country. With the Arabian Sea on the west and the Western Ghats on its east, Kerala is a treasure trove of indigenous cultural practices and art forms that have mesmerized people all over the world. Be it the age old Kathakali or the newly rediscovered Mohiniattyam or the knowledge of Ayurveda . Basking in the generosity of the sun and rain Kerala is home to a host of centuries old temples dedicated to Hindu deities flocked by millions of pilgrims every year. 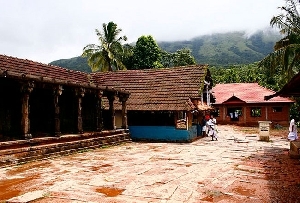 The temples of Kerala, known for their ingenious architecture and simplicity are frequently visited by tourists. The early temples of Kerala (up to 3 rd crntury B.C) largely carry influences of the temples of neighboring Tamil Nadu known for their imposing Gopurams. The temples built after that period, are dominated largely by the influence of the local climate and agrarian economy characterized by rainfalls. 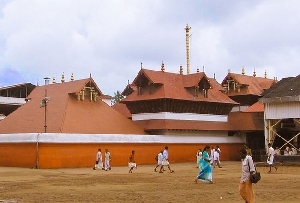 The wooden pyramidal roof instead of the more common conical roof covered with copper plates is the most distinctive feature of the temples of Kerala. The entrance is a Gopura opens into a courtyard which ends in the Mukha Mandapam the beginning of the main temple building. The central sanctum known as the Sree Kovil is the seat of the deity overlooking the namaskara mandapam , the place from where the visitor is allowed to worship and view the idol. Every Keralite temple has a Kuttambalam or Theatre hall where Kathakali performances and holy recitals take place. 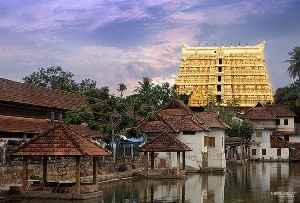 Guruvayur Temple - dedicated to Lord Krishna, this is the most important and most visited pilgrimage centre in Kerala. 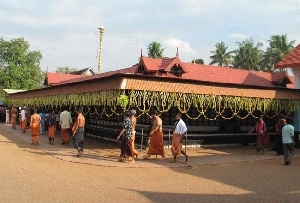 Popularly recognized as Dakshin Dwarka, Guruvayoor Temple is situated 29 km north east of Thrissur. 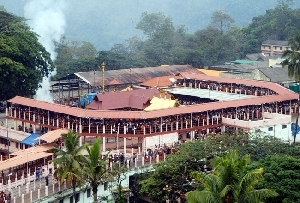 Sabarimala Dharmasastha Temple - dedicated to Lord Ayyappa, this is the most important of all Sastha temples. 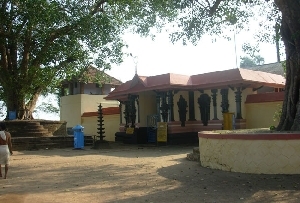 The idol of Ayyappa inside the temple is believed to have been installed by Parashurama. The pilgrimage season starts from November and ends in January. 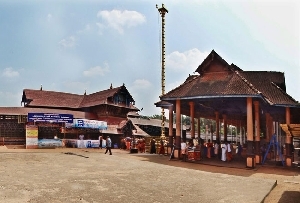 Thiruvalla Temple - this ancient temple dedicate to Vishnu called Lord Vallabha here was built in the Pre-Christian era. The Kathakali performances that are offered to god here every evening is a special attraction. 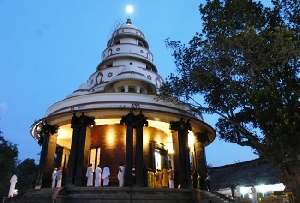 Sivagiri Temple - located at Varkala, this is a modern temple built by Sri Narayana Guru does not have any idol inside. 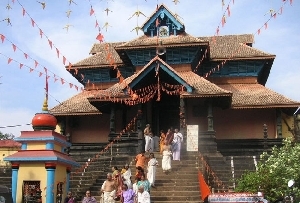 The temple was built in the 19 th century to abolish the evil practice of caste based discrimination prevalent in Kerala. 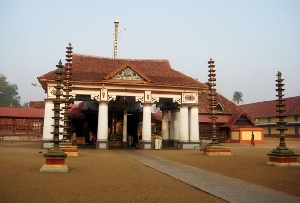 Ettumanoor Temple - built in the 16 th century for the worship Lord Shiva , this temple is noted for it's traditionally Keralite architecture. The murals adorning the walls inside are also quite famous.